Both lunar and solar eclipses are the processes that have three celestial bodies in common: the Sun, the Moon and the Earth. The lunar eclipse takes place when Earth goes through the Moon and the Sun, so its shadow hides the Moon fully or partially. 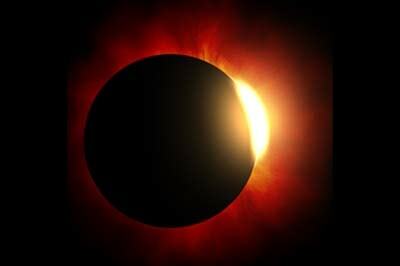 As for solar eclipse, it happens when the Moon is situated between the Earth and the Sun, blinding the part of the Sun. The eclipses are divided into three types: total, partial or annual ones. Total solar eclipse occurs when the Moon fully blinds the Sun. Partial eclipse takes place, if only one part of the Sun is hidden. Annular eclipse occurs when the Moon is at its highest peak on the orbit, as it can't fully block the Sun we can see a small circle of light shining from the Moon in the sky. What is the difference between solar and lunar eclipse? The first thing is: lunar eclipse is possible only at night, while the solar one can be during the day. Each eclipse has a particular time, when it happens. When the full Moon is fairly opposite the Sun, the lunar eclipse takes place. You understand that full Moon can be seen every month, but lunar eclipse has another schedule. The lunar eclipse is possible only when the Sun is in precise line with the Earth and the full Moon. However, the lunar orbit is 5 more degrees bent than our planet, that's why we don't see a lunar eclipse every full Moon. Lunar eclipses are easier for us to forecast than solar eclipses, because they are quite calculable. Basically, the Moon is way closer to the Earth (compared to Sun, which is 300 times more distant), it means that the possibility that Earth overshadows the sunlight to the Moon is higher, than the possibility of the Moon to hide the Sun. Lunar eclipse is available to observation from larger area of the Earth, than the solar one. However, solar eclipses are pretty rare and less people can experience them from smaller area of availability and time limits. Lunar eclipse is easy to see with unprotected eye, as it is harmless and our eyesight will not be damaged after such an observation. If you want to watch a solar eclipse, it is dangerous to look at it without eye protection. During the lunar eclipse it is easy to observe this phenomenon through the lenses of telescope and watch what is going on there for real. Due to its rarity, magnificence and enormous influence of the Sun on our planet, a solar eclipse has always been more influential for people than more common lunar eclipse. For example, people from Ancient Chine imagined solar eclipse to be the giant dragon that attempts to consume the Sun. Researchers are investigating the effect that eclipse has on the living beings from the Earth. They really wait for every solar eclipse, as it can potentially help in discovering more information about the Sun and how it works, which can become vital for people, also how it influences Earth. 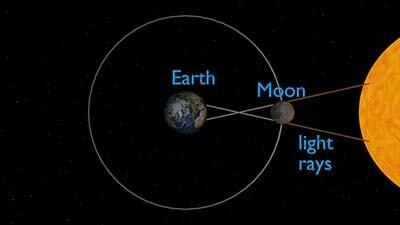 Total lunar eclipse is a special position, when its orbit is in the closest dislocation to the Earth.